You probably have a jar of Vaseline buried somewhere in your medicine cabinet. Millions of people swear by it as a remedy for chapped lips, congestion, diaper rash and dry skin. Unfortunately, the popular product is more harmful than many realize. 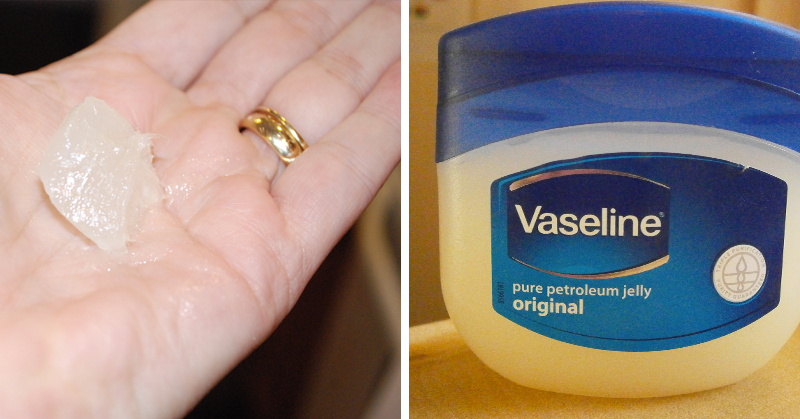 Petroleum jelly, commonly known by the brand name Vaseline, is a byproduct of the oil refining process. It was originally found coating the bottom of oil rigs in the mid-1800’s. As a byproduct of the oil industry, it’s an unsustainable resource and far from eco-friendly. Due to the barrier that petroleum jelly creates on the skin, it blocks the skin’s ability to breathe and absorb nutrients. This can cause the skin to pull the moisture and nutrients it needs from within, leading to collagen breakdown. Estrogen dominance occurs when the body has high levels of estrogen and low levels of progesterone. It has been linked to infertility, menstrual problems, allergies and autoimmune problems. Petroleum jelly contains chemicals called xenoestrogens which are believed to increase estrogen problems. Although rare, a condition known as lipid pneumonia can occur when small amounts of petroleum jelly are inhaled and build up in the lungs. Because the body can’t metabolize or break down the substance, a severe inflammation in the lungs can occur. Shea Better – High in Vitamins A, E and F, shea butter works to nourish the skin through the beneficial fatty acids it contains. It can also help reduce inflammation and increase collagen productions. Beeswax – A great alternative to petroleum jelly is beeswax. It can be blended into homemade beauty products to protect the skin. Add it to a homemade lip balm or body cream. Coconut Oil – This oil is loaded with health benefits. It works to nourish the skin through its fatty acids, lauric acid and anti-inflammatory compounds. Cocoa Butter – Cocoa Butter contains antioxidants and beneficial fatty acids. It may even help reduce signs of aging!